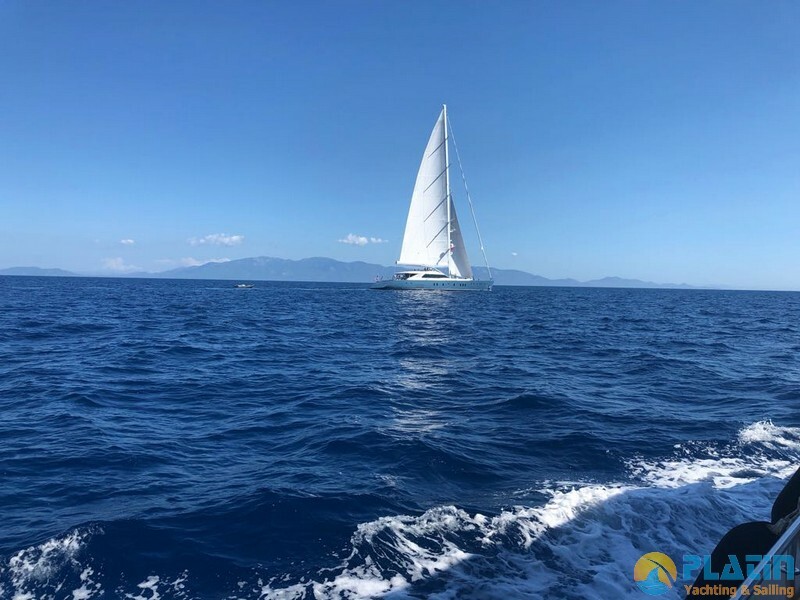 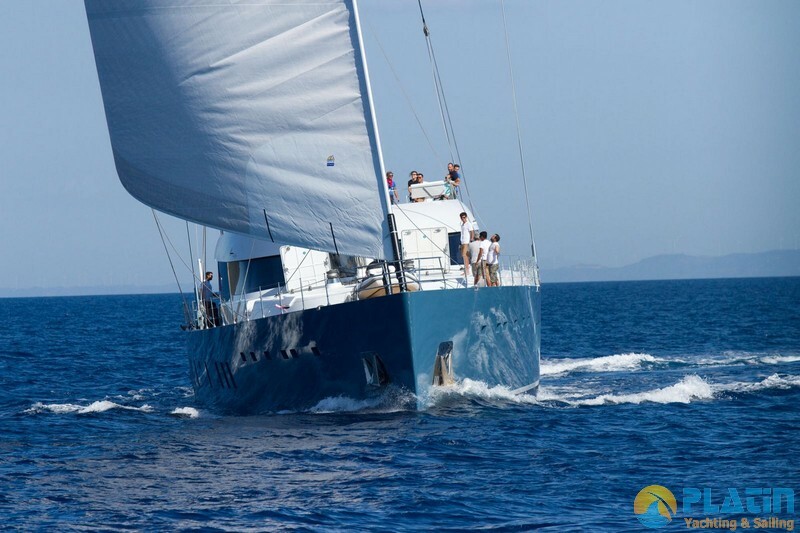 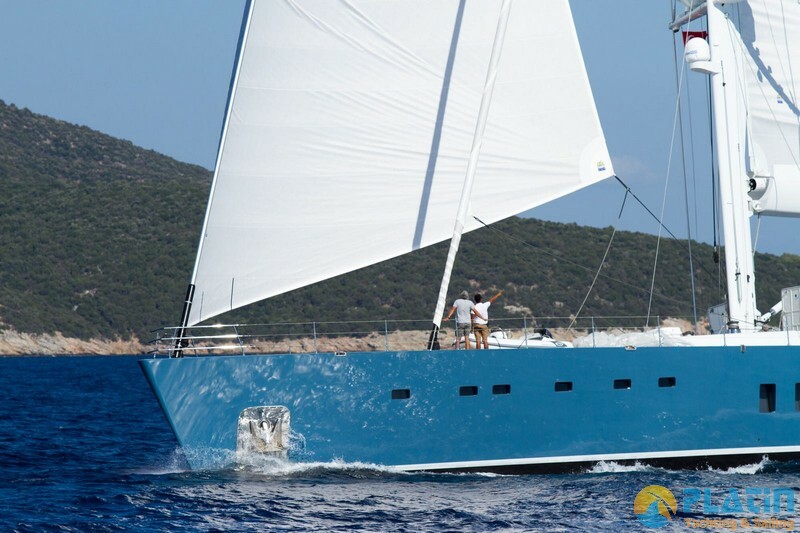 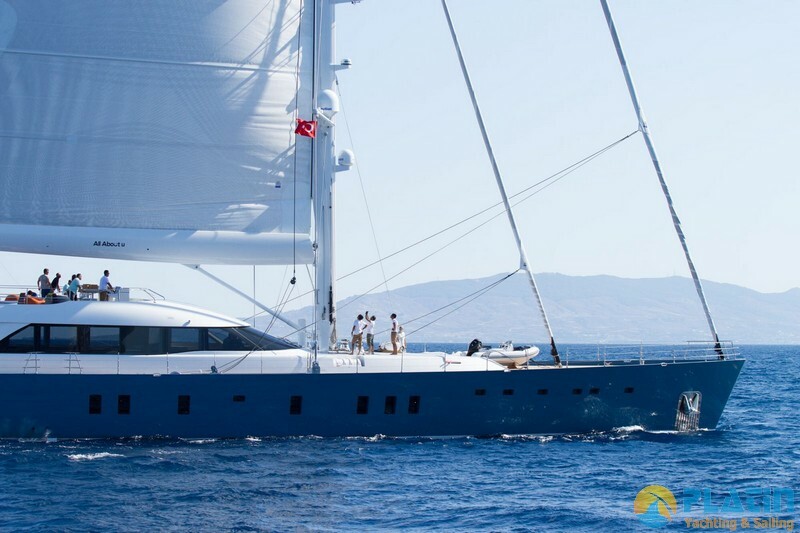 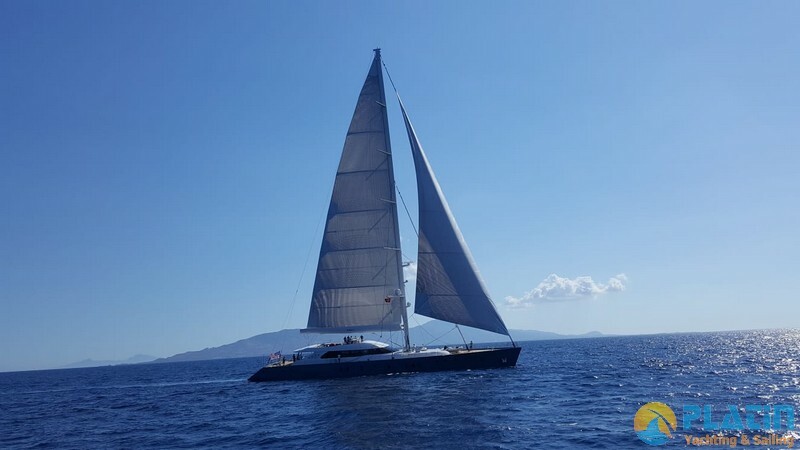 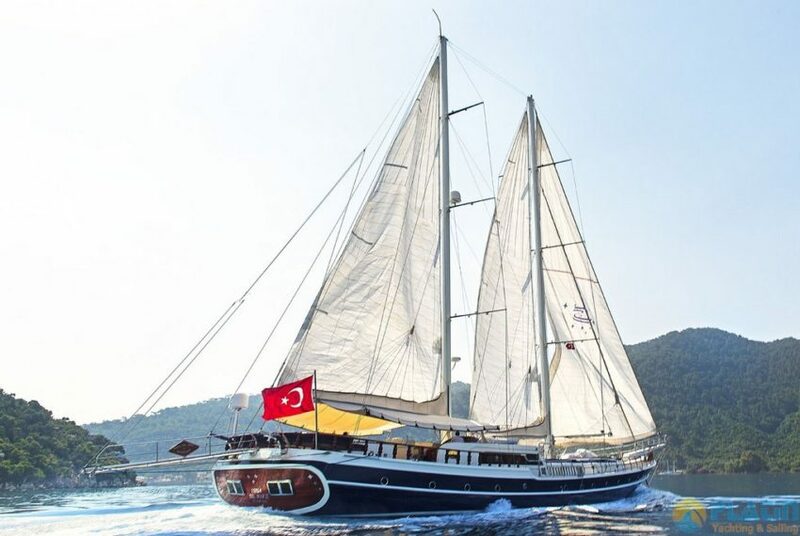 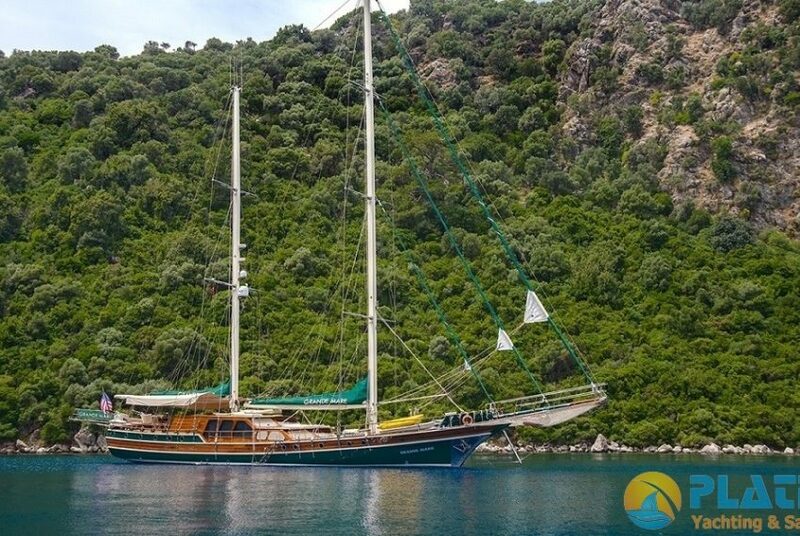 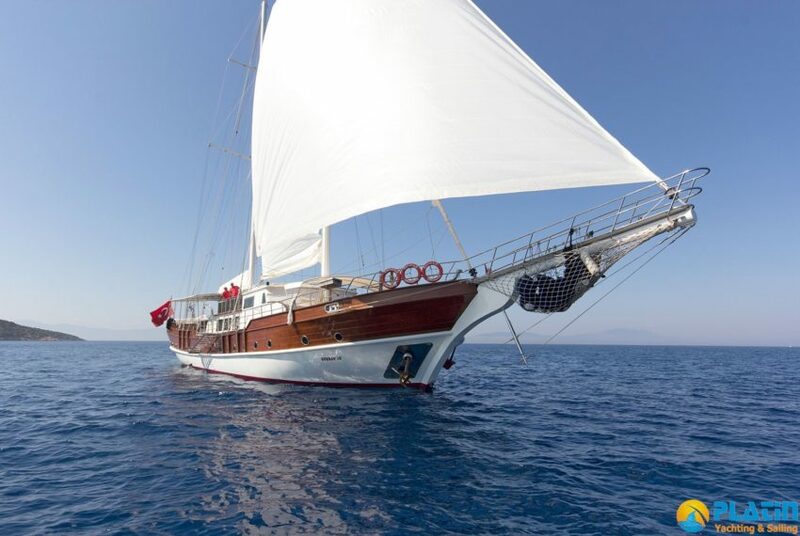 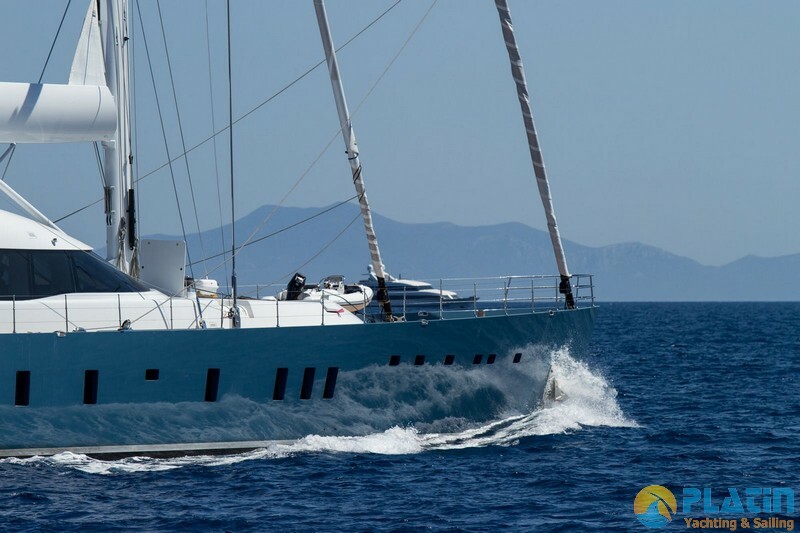 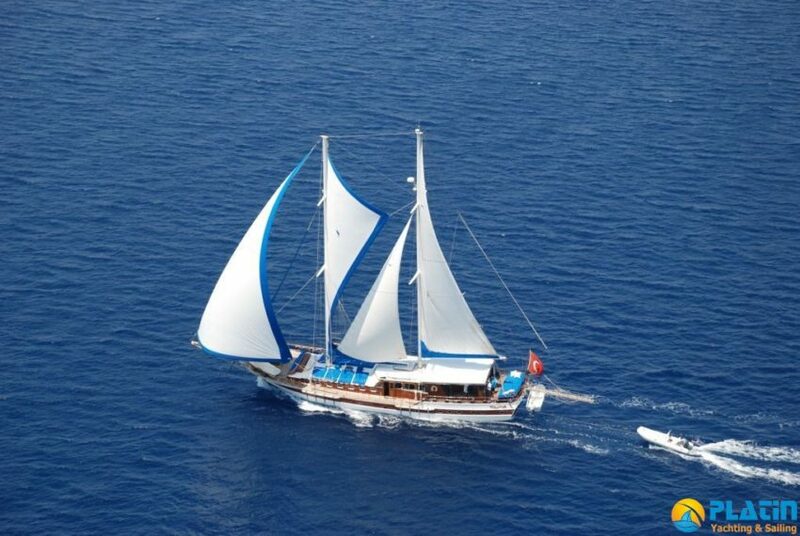 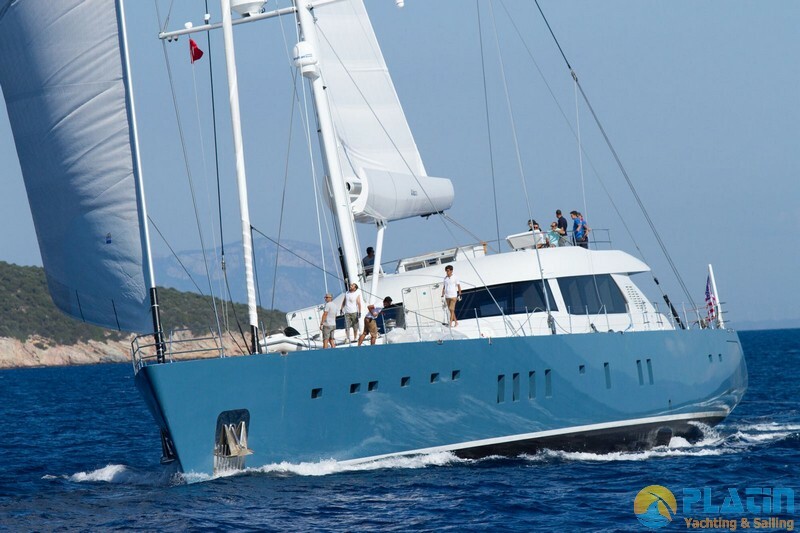 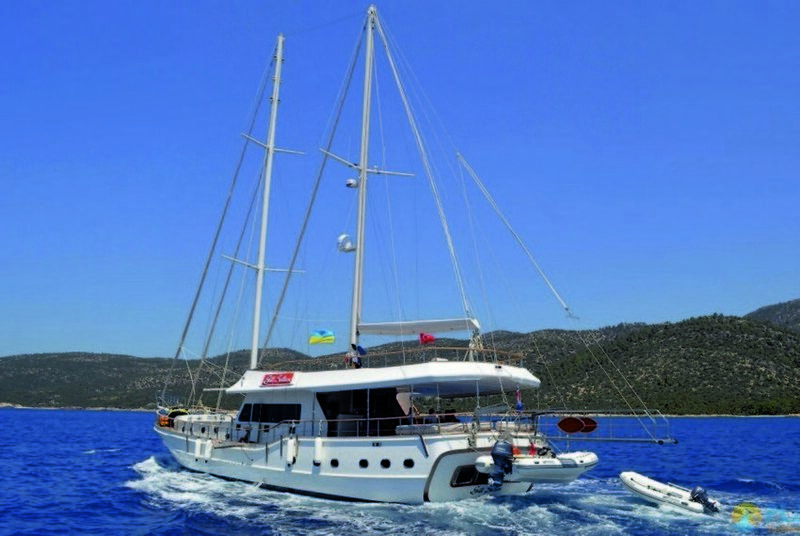 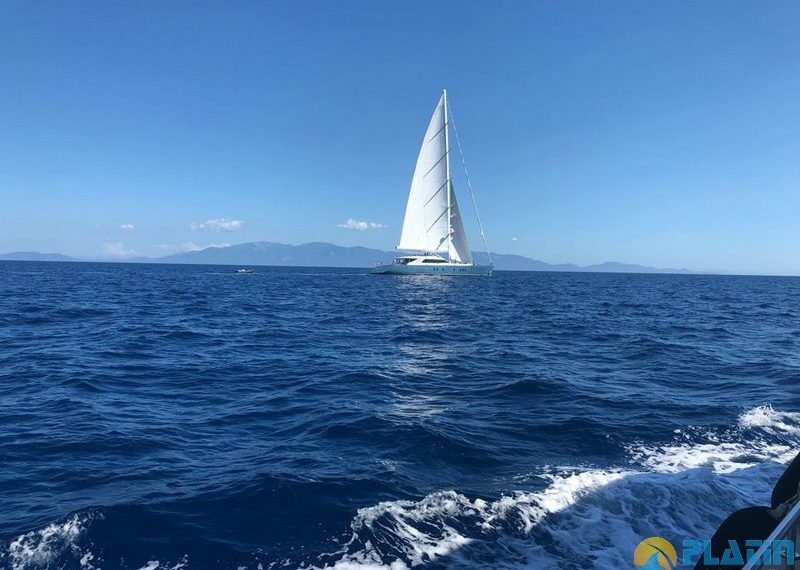 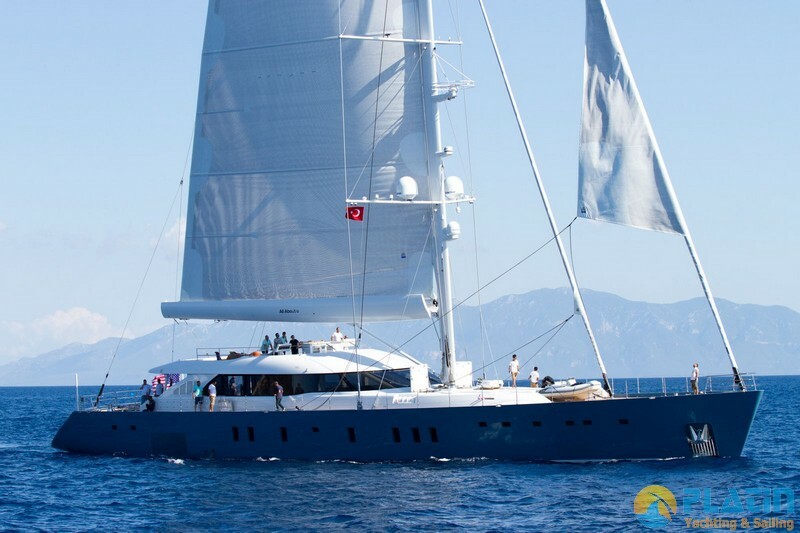 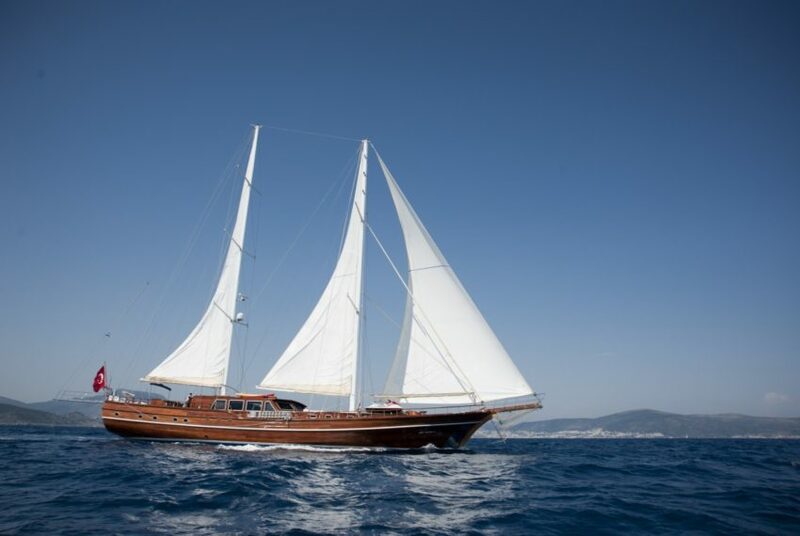 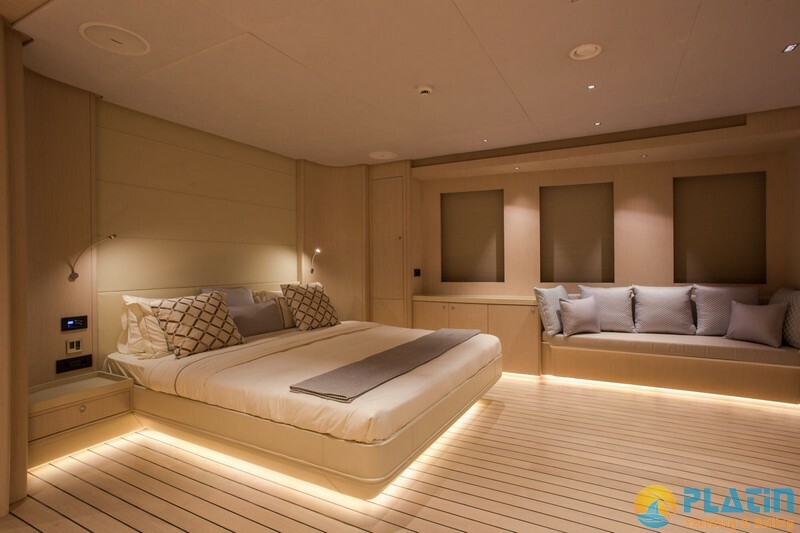 All About U Ultra Luxury Yacht, accommodation for 12 guests in six en-suite rooms including a full-beam master suite with private study and All About U has around 9 crew. 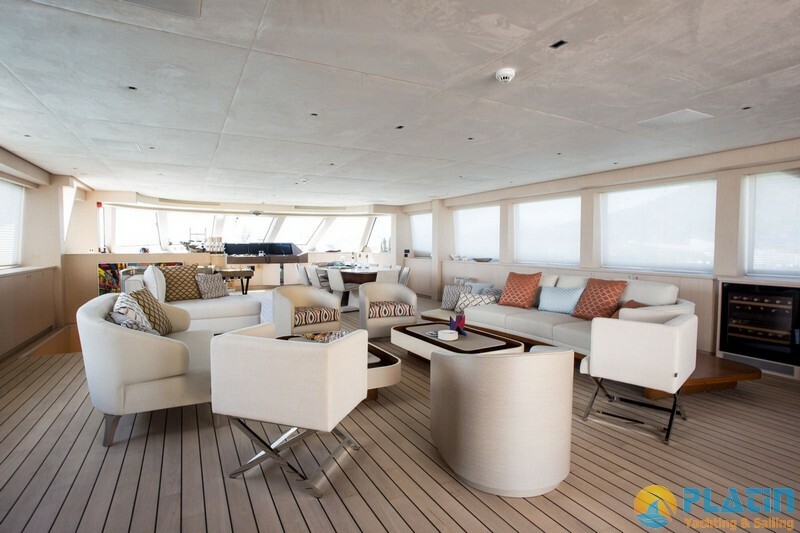 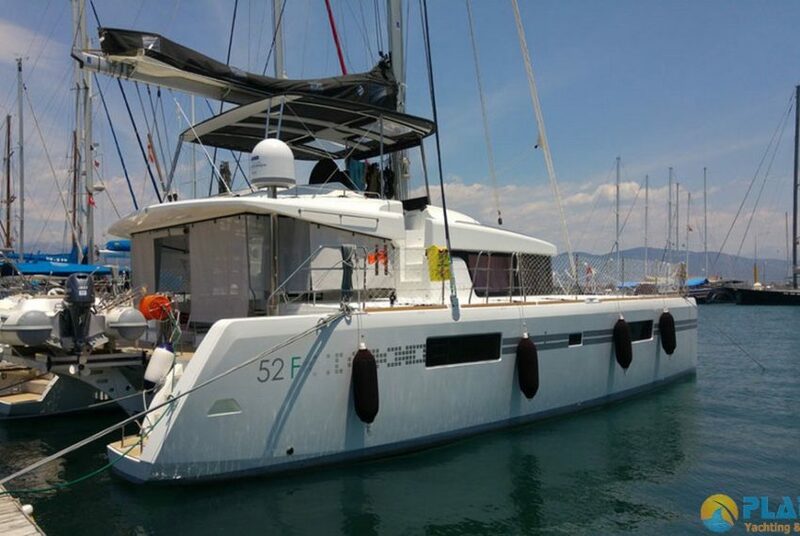 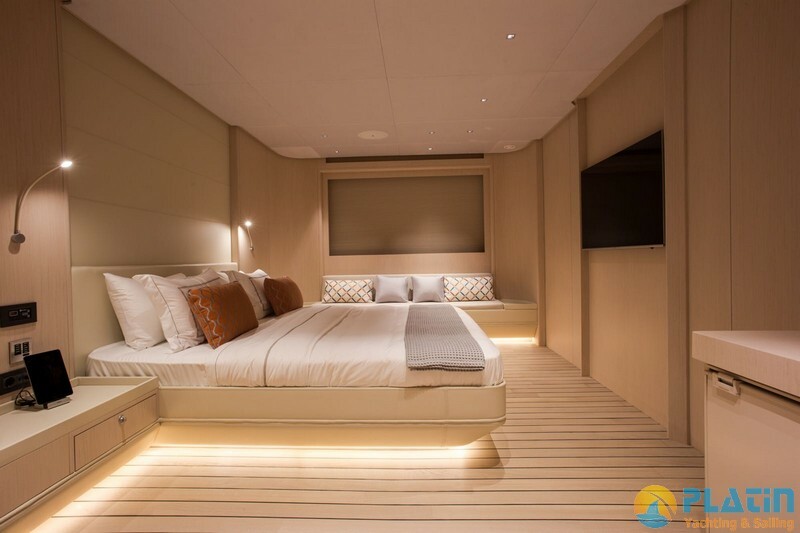 All About U sundeck on board is one communal area with a large family bar at its heart and loose furniture that compliments the oversized built-in sun pad at the aft of the deck. 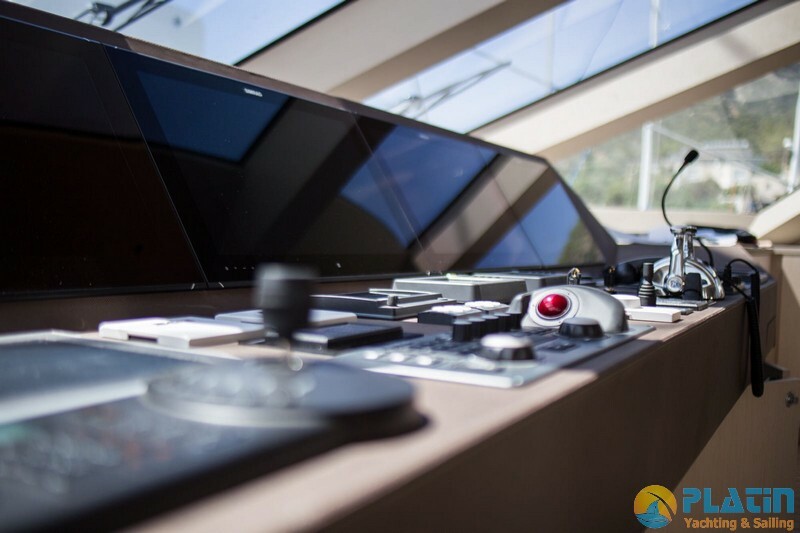 The twin helm stations are also located on the sun deck and the captain has excellent visibility over all deck operations from here. 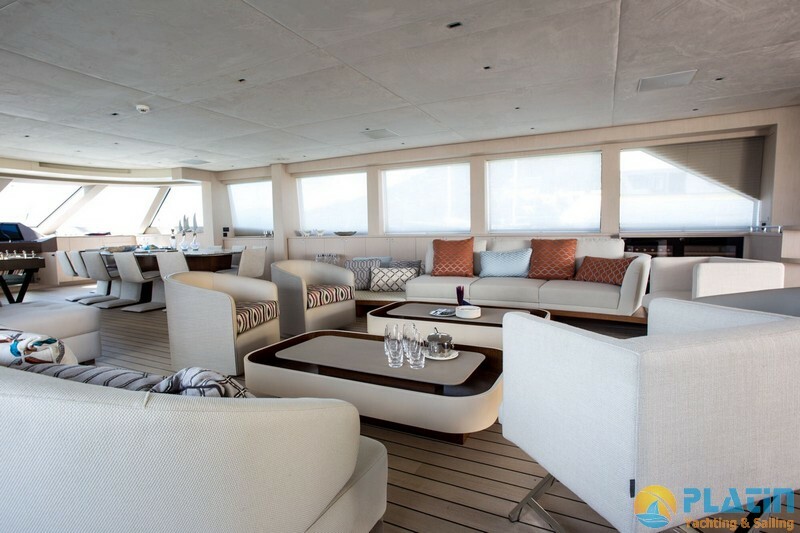 All About U beach club is another exterior highlight and with the massive transom folded down, an open plan water level oasis is formed with a fleet of Seabobs and jet skis just waiting to be taken for a spin. 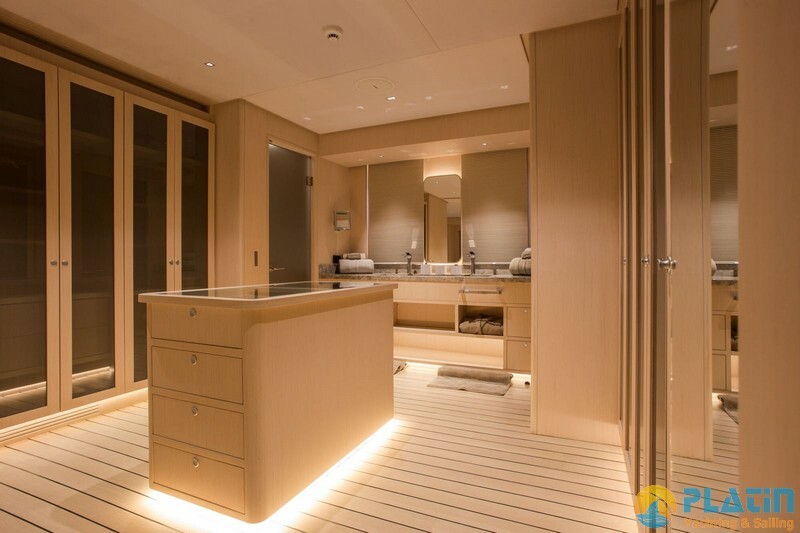 All About U Inside, the saloon follows the same minimalist approach as the exterior spaces and the design team opted for a bright and natural palette, continuing the teak deck from outside in and making use of other raw woods for furniture pieces and cupboards. 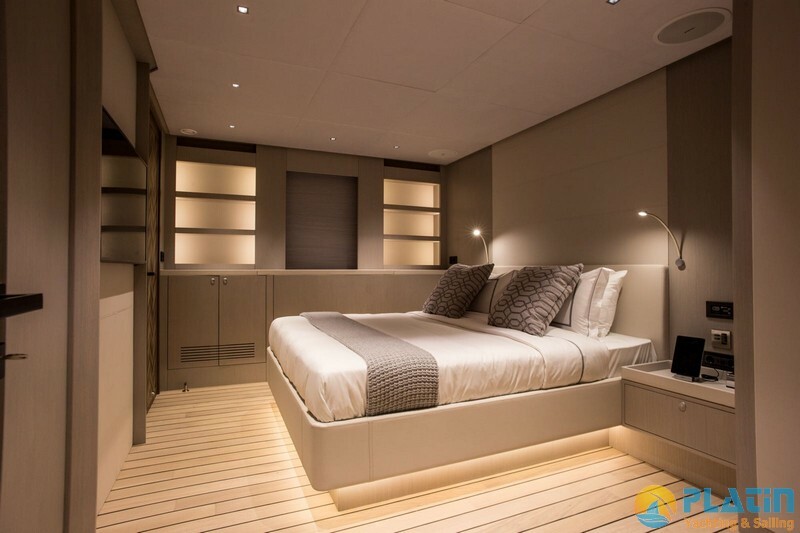 All About U full-beam master cabin on the lower deck comes with ample space and in addition to a massive walk-in wardrobe for him and her, the connected ensuite bathroom opens up the room even further with uninterrupted views through the portholes on either side. 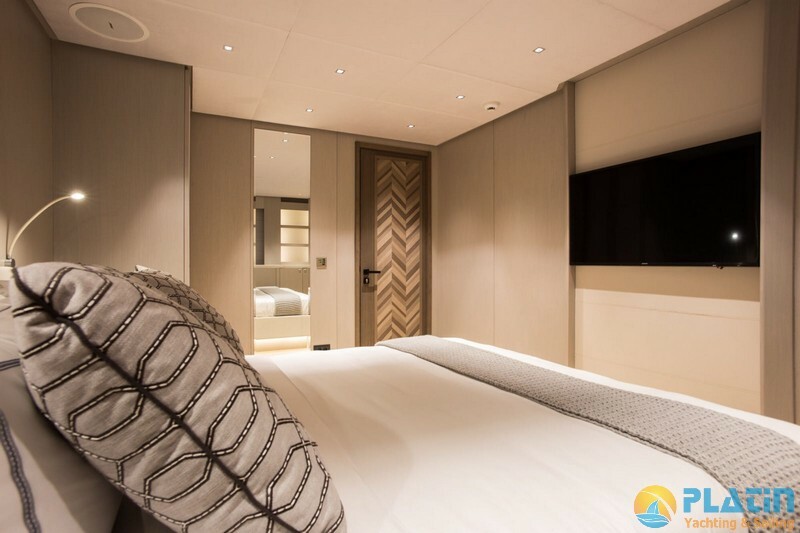 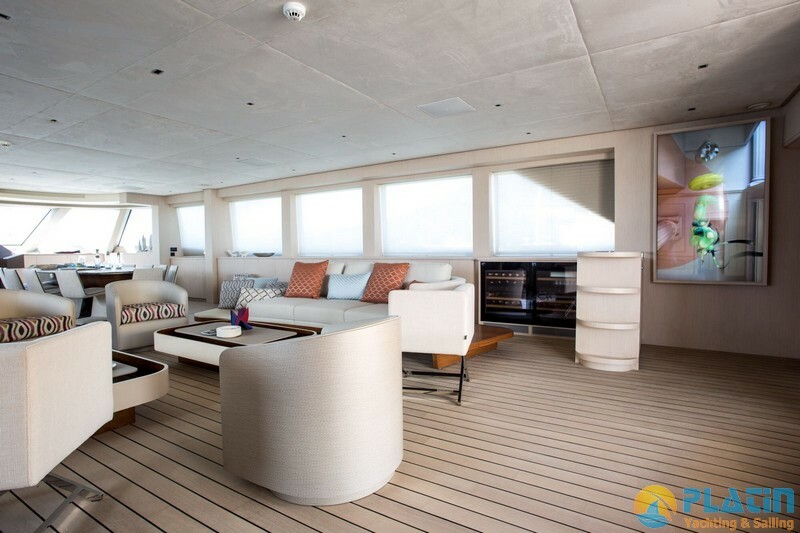 In addition to the master suite are five staterooms (one VIP and four guest), each decorated in the same neutral tones that are found throughout the rest of the yacht. 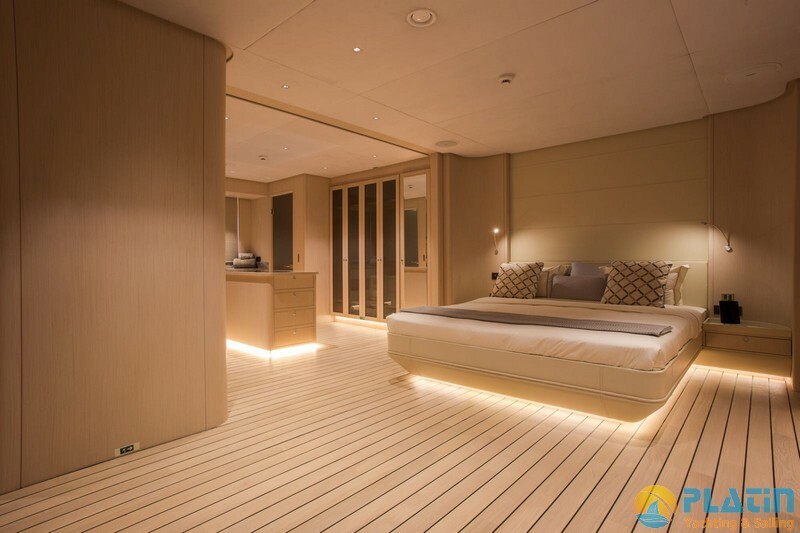 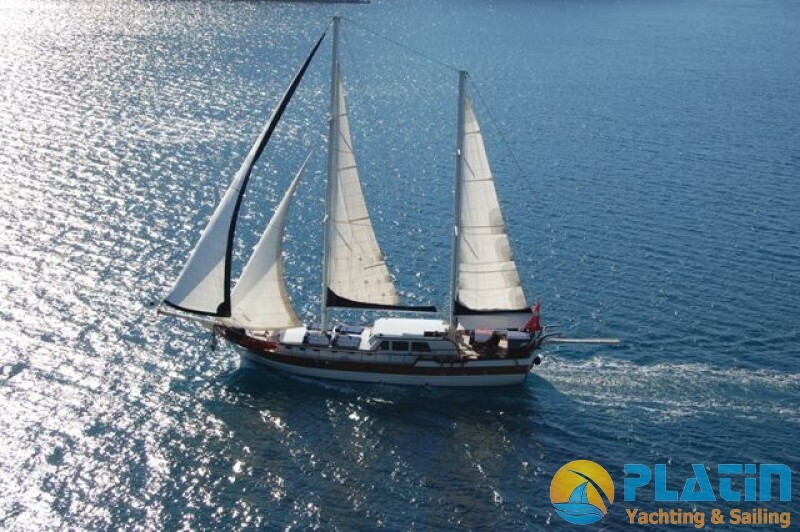 When operated under motor power alone, the main wheelhouse is used from where All About U can cruise comfortably at 12 knots or kick in overdrive thanks to two 800 hp engines to reach a top speed of 16,2 knots.